The compact and modular Warrior HWH is a field-ready Short Wave Infrared (SWIR) viewer providing high resolution video during day and nighttime operations. 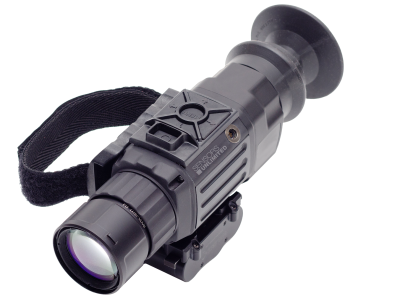 The Warrior HWH provides distinct advantages over other available viewer technologies, including visible, thermal and night vision (I2) systems. Battlefield laser aim points are easily identified day or night, reducing both the time to engage targets, and the risk of fratricide and collateral damage. Bright lights and flashes do not degrade performance, as is common with other types of viewer technology. The Warrior HWH is also capable of imaging through conditions that degrade other systems including haze, smoke and dust. To appreciate the unparalleled performance of the Warrior HWH is to look through the eye piece and see for yourself.